On the 36th day in the life of the most beautiful girl in the history of the world the morning began peacefully. We had trusted David to take care of her overnight so that we could catch up on our sleep, and he did an excellent job. By the time I got up the sun had risen and was filing our living room. Maya had a good night with David. We ate our breakfast and relaxed on the couch. 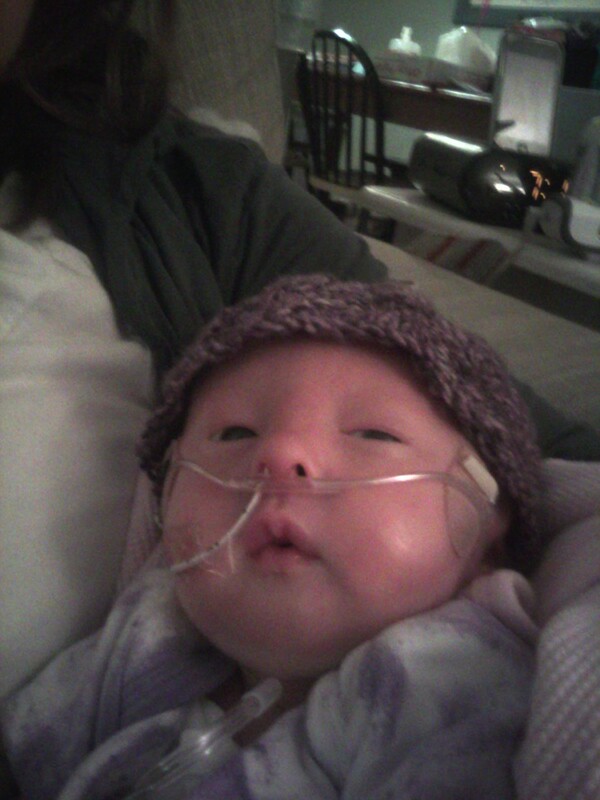 During Maya 9:00 feeding her feeding tube clogged. We tried everything to unclog it, but she needed a new tube. We talked to her nurse and decided that we would try a few new things to unclog it and if they didn’t work we would drop a new tube . We tried all our little tricks and still were unsuccessful. At the last minute we chickened out a little. We called our friend Angie to ask for advice. Her response was excellent. She was at our door in less than an hour. She was what we needed, someone to help us through. It was not her job or her responsibility, but she offered help and we accepted. It was one of those lessons that Maya tends to teach us daily. When we need help there is always some wonderful person who comes through as long as we ask for help. We were unsuccessful this morning. Her tube had to be dropped through her mouth instead of her nose, but that was a good thing because At 6:00 Janet came by to move Maya’s tube back to her nose. We are always comforted when she is here. She is one of those people that is incredibly skilled and good at what she does. Which is way more than just medical procedures. She helps us to be better parents. She began to talk to us and before we really knew what had happened Erin had dropped Maya’s tube by herself. I could tell by the look on Erin’s face that she was proud of herself, and she should be. It was a difficult task that we have watched many nurses struggle with, but with Janet here with us Erin was able to give Maya exactly what she needed. I am proud of her too. Our evening will be spent with Grandma Kathy watching the K-State game. We hope it is less eventful than our day. What a day! Way to go Erin. Maya is obviously in good hands, from the skilled medical professionals to her loving parents. Erin and JJ we are proud of you both. What chubby cheeks little Miss Maya has gotten! Give her a hug and kiss from her favorite great Aunt Sharon today!